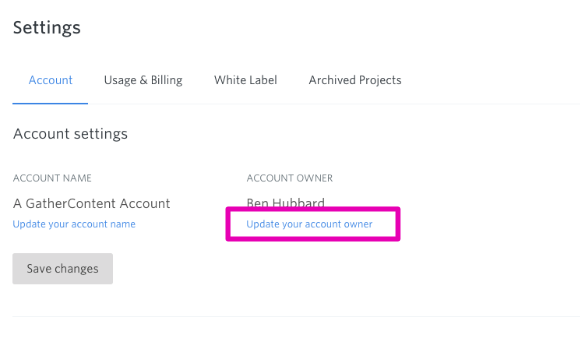 The Account Owner is the person who manages your account and has full permissions to make all account changes. The Account Owner will, by default, be the only person that can access all account and billing information (although other users can be given access to these). The Account Owner will also be the person that is contacted by us regarding account activity. Only the Account Owner can change the Account Owner of your account. You can find out who this is from your "Account Settings". 2. Click "Update your account owner"
You will also have to choose what your new role should be. 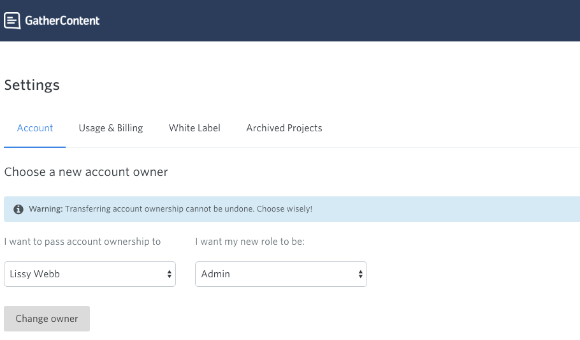 As soon as you select “Change owner”, your role will change (meaning your permissions will be immediately different) and the new Account Owner will be active. Tip: It's possible to give any user access to billing information by changing their permissions to include 'Can access billing'. 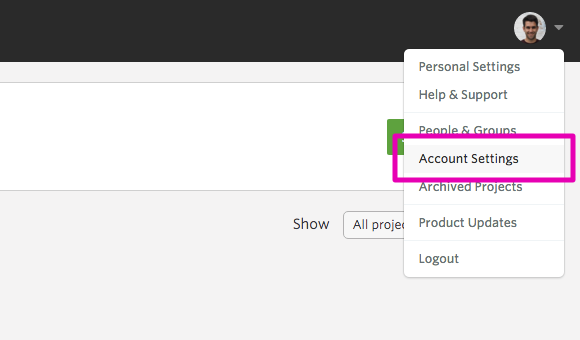 You can learn about customising roles and permissions in this guide.